In 1912, Medill McCormick won the first of two terms in the Illinois legislature as a Progressive–Republican. In Springfield, Ruth was a lobbyist who helped to pass the Illinois Equal Suffrage Act in 1913, a measure ensuring women the vote in municipal and presidential elections. It marked the first time a state east of the Mississippi granted that right.5 In 1913, McCormick succeeded the confrontational Alice Paul as chair of the Congressional Committee of the National American Woman Suffrage Association (NAWSA). She promoted pro–suffrage congressional candidates at the state level. Medill McCormick, meanwhile, was elected in 1916 to the U.S. House from Illinois and, in 1918, to the U.S. Senate by defeating Democratic Whip James Hamilton Lewis. When she arrived in the capital, McCormick's supporters believed she might get a seat on the Agriculture Committee, considering her experience with farm operations and a large agricultural constituency.13 But she was appointed to the Committee on Naval Affairs—chaired by Illinois Representative Fred L. Britten, one of the most influential House committees and a coveted panel where no woman had yet served. Though handed a plum assignment, McCormick, who harbored aspirations for the U.S. Senate or the Illinois governor's office, refused to become ensconced in the House. In an experience typical for a freshman, she did not deliver any floor speeches, though she did push for passage of a farm bill to help relieve overproduction as well as a tariff revision. McCormick also supported President Herbert Hoover's call to repeal the National Origins clause of the Immigration Act of 1924—an issue important to labor that concerned a large part of McCormick's constituency.14 Much of her time in Washington was spent attending to constituent requests, primarily from Spanish–American War veterans seeking help with pensions. In September 1929, McCormick announced that she would seek the Republican nomination to the U.S. Senate against the freshman incumbent, Senator Deneen.15 McCormick won the endorsement of Chicago's Mayor Thompson and Illinois Governor "Lop Ear" Lou Emmerson, who assigned an aide to manage her Cook County campaign. In "Downstate" Illinois, the candidates divided over the World Court issue, with Deneen supporting it and McCormick, the confirmed isolationist, arguing that it would draw America into European wars. In the end, the World Court debate proved decisive.16 McCormick swamped Deneen with a nearly 200,000–vote plurality on April 8, 1930, becoming the first woman to receive a major party nomination for the U.S. Senate. In the general election, McCormick faced former Senator James Hamilton Lewis, whom Medill McCormick defeated in 1918. Lewis's flat rejection of American adherence to the World Court deprived McCormick of a key issue.17 Without a signal campaign issue with which to challenge Lewis, McCormick faced sustained assaults on her Prohibition stand, the economy, and her primary campaign expenses.18 McCormick vowed to abide by the decision of Illinois voters, who also were scheduled to vote on a Prohibition referendum at the November polls.19 This position angered women temperance zealots. McCormick's prospects were dimmed when her nemesis, Lottie O'Neill, former vice president of the Illinois Women's Club and a critic of McCormick's "bossism," ran as an Independent Republican and siphoned off a sizeable portion of the women's vote.20 The failing economy proved most important.21 Against the backdrop of economic depression and spreading unemployment, the disclosure of McCormick's lavish nomination campaign expenses proved damaging. McCormick told a Senate investigating committee that she had spent $252,000—10 times more than Deneen. McCormick argued the expenditures were necessary to "overcome the organized [political] machines. "22 Eventually the investigation was suspended, but the damage was done.23 McCormick polled just 31 percent in a state that gave Hoover nearly a half–million vote plurality two years earlier. Nationally, Republicans lost 53 House seats and eight Senate seats. Although her career as an elective officeholder came to an end, McCormick had no intention of retiring from public affairs. In March 1932, she married Albert Gallatin Simms, a former New Mexico Congressman who also served in the 71st Congress (1929–1931)—marking the first time two concurrent Members married.24 McCormick managed two newspapers and a radio station and founded an Albuquerque girls school in 1934. In 1937, she sold her Rock River dairy farm and purchased a 250,000–acre cattle and sheep operation, Trinchera Ranch, in south–central Colorado. In 1940, she helped to manage Thomas E. Dewey's presidential campaign. A horse–riding accident put McCormick in the hospital in the fall of 1944. Shortly after being discharged, she was diagnosed with pancreatitis and died from complications in Chicago on December 31, 1944. 1"Current Magazines," 20 March 1927, New York Times: BR27. This article excerpts from the March 1927 Century Magazine article by Ida Clyde Clarke, "A Woman in the White House." 2"Ruth Hanna Simms; Republican Figure," 1 January 1945, New York Times: 19. 3"Ruth Hanna Simms; Republican Figure." See also, Kristie Miller, "McCormick, Ruth Hanna," American National Biography (ANB) 14 (New York: Oxford University Press, 1999): 923–925, and James P. Louis, "Simms, Ruth Hanna McCormick," Dictionary of American Biography (DAB) Supplement 3 (New York: Scribners, 1973): 710–711. 4"Then Along Came Ruth—to Congress," 14 April 1929, Washington Post: SM3. 5Kristie Miller, Ruth Hanna McCormick: A Life in Politics (Albuquerque: University of New Mexico Press, 1992): 93–98. 6ANB, DAB, and Miller all accord on this point. 7Melanie Gustafson, Women and the Republican Party, 1854–1924 (Urbana: University of Illinois Press, 2003): 180. 8Louis, "Ruth Hanna McCormick Simms," DAB. 9S.J. Woolf, "Mark Hanna's Daughter Chooses to Run," 16 October 1927, New York Times: SM10. 10Miller, Ruth Hanna McCormick: 186–187. 12"Election Statistics, 1920 to Present," http://clerk.house.gov/member_info/electionInfo/index.aspx. 13"Then Along Came Ruth—To Congress." 14Miller, Ruth Hanna McCormick: 201. 16This is Miller's sound conclusion, see Ruth Hanna McCormick: 220–221. The Washington Post concluded much the same soon after the election: "Ruth McCormick," 10 April 1930, Washington Post: 6. 17"World Court Foes, Women and the Drys Hail Mrs. McCormick," 10 April 1930, Washington Post: 1; Miller, Ruth Hanna McCormick: 232. 18"The Illinois Campaign," 11 April 1930, Washington Post: 6. 19"Ruth and Jim," 24 August 1930, Washington Post: S1. 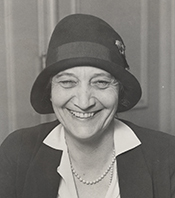 20"Mrs. O'Neill to Oppose Bitter Rival, Running as Independent," 5 September 1930, Washington Post: 1; Hope Chamberlin, A Minority of Members: Women in the U.S. Congress (New York: Praeger, 1973): 70. 21Miller, Ruth Hanna McCormick: 231. 24"McCormick Congratulated by Colleagues," 10 March 1932, New York Times: 18. Papers: In the Hanna-McCormick Family Papers, 1792-1985, 66.4 linear feet. The papers include materials relating to Ruth McCormick's political activities 1918-1931. An inventory is available in the repository. Papers: In the Baker Brownell Papers, 1904-1965, 26 cubic feet. Other authors include Ruth Hanna McCormick. An inventory is available in the repository. Papers: In the Sandia School Papers and Documents, 1932-1942, 1 box. Subjects include Ruth Hanna McCormick. An inventory is available in the school and online. Miller, Kristie. Ruth Hanna McCormick: A Life in Politics, 1880-1944. Albuquerque: University of New Mexico Press, 1992. ___. "Ruth Hanna McCormick and the Senatorial Election of 1930." Illinois Historical Journal 81 (Autumn 1988): 191-210. "Ruth Hanna McCormick" in Women in Congress, 1917-2006. Prepared under the direction of the Committee on House Administration by the Office of History & Preservation, U.S. House of Representatives. Washington: Government Printing Office, 2006. Shore, Amy Elizabeth. "Suffrage and the Silver Screen." Ph.D. diss., New York University, 2003. Strickland, Arvarh E. "'The lady candidate': Ruth Hanna McCormick and the Senatorial Election of 1930." Illinois Historical Journal 81 (Autumn 1988): 191-210.